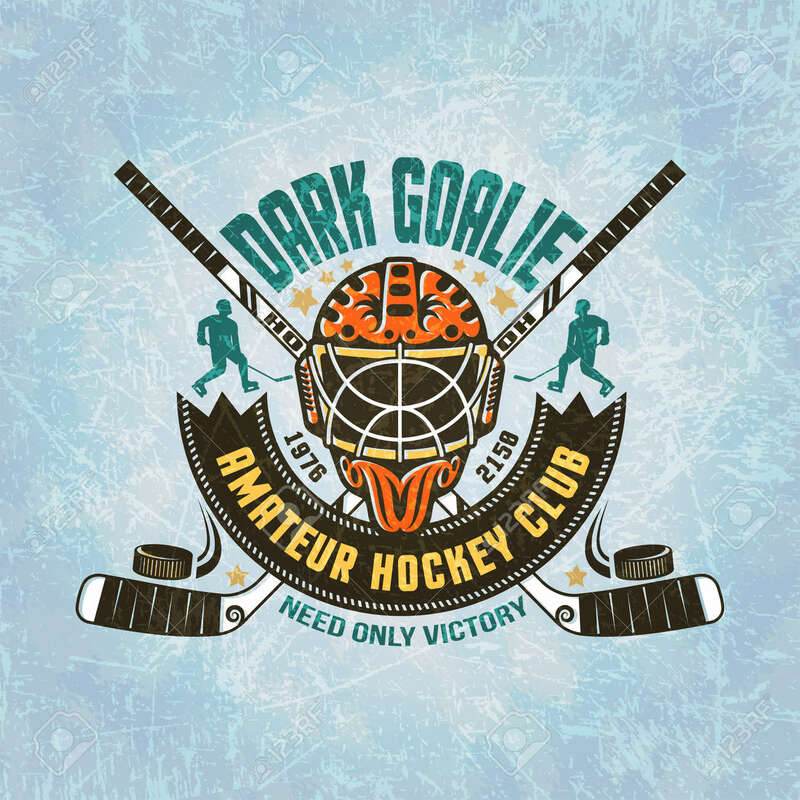 Emblem Of Hockey Team - Goalie Mask, Crossed Hockey Sticks, Puck,.. Royalty Free Cliparts, Vectors, And Stock Illustration. Image 55677332. Vector - Emblem of hockey team - goalie mask, crossed hockey sticks, puck, hockey player silhouettes, vintage banner. Texture of ice on separate layers and easily disabled.Text can be removed. Emblem of hockey team - goalie mask, crossed hockey sticks, puck, hockey player silhouettes, vintage banner. Texture of ice on separate layers and easily disabled.Text can be removed.